Guess who is celebrating his birthday today? 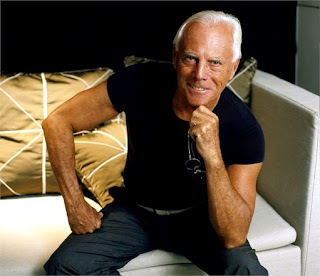 Him .. the King .. Giorgio Armani! And I have to give him my best wishes! The beauty of 79 years is still a great stylist, dare I say the best! Her designs are magnificent and resist even when he does not there will be more ... are timeless! So do not waste time ... HAPPY BIRTHDAY GIORGIO!